Kuldeep Yadav gets a personal best ICC T20I ranking after his performance in last game of the recently-concluded series in New Zealand. Rohit Sharma, Shikhar Dhawan and Kane Williamson were other players who progressed within the top 20 of the ICC T20I rankings after the recent series. 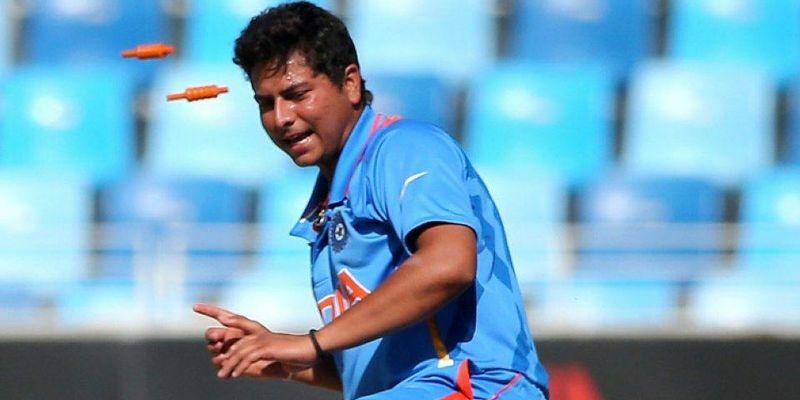 Kuldeep Yadav was drafted into the team as a replacement for Yuzvendra Chahal in the final T20 match against the Kiwis on Sunday. He picked up the crucial wickets of Tim Seifert and Colin Munro. India lost the series but the UP spinner’s performance helped him surpass Shadab Khan of Pakistan to be ranked No.2 in ICC T20 rankings while Rashid Khan of Afghanistan remains at the top. Indian openers Rohit Sharma and Shikhar Dhawan have also shown progress in the rankings. While Sharma advanced three places to seventh, Dhawan moved up one place to be ranked 11th. Krunal Pandya shifted a whooping 39 places to be ranked 58th on the list. New Zealand players too showed progress as captain Kane Williamson moved one place to 12th. Ross Taylor was ranked 51st from 58th and Tim Seifert leaped 87 places to 83rd in the rankings. Tim Southee managed to move seven places up to 30th while Santner moved to 10th in the tally. India remain to be second in the team rankings but had lost two points following the outcome of recent matches. Pakistan leads the table with 135 points but had lost three points following their series defeat while South Africa have overcome Australia and England to be ranked third in the list.